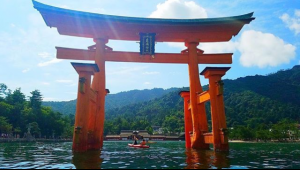 A awesome experience at Miyajima island, Hiroshima. A fantastic experience and would recommend it to anyone at Miyajima island. copyright © Seeking Hiroshima all rights reserved.